TransPennine Express has accepted its first rake of Mk 5A coaches from Spanish manufacturer CAF. The operator plans to put them into service from late July, with two rakes being introduced initially. 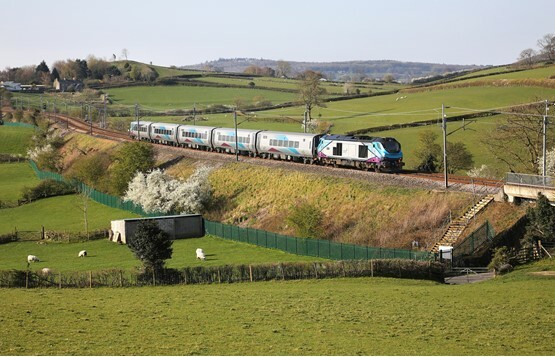 TPE will need to carry out driver training before the trains, which will be powered by Class 68s leased from Direct Rail Services, can enter traffic. “Although there have been a few bumps on the way, it’s brilliant that our plan is now coming together and our customers will be able to travel in comfort on modern trains with more seats later this year,” said TPE Major Projects Director Chris Nutton. The trains should have entered traffic last autumn. However, delays resulted from issues with the brakes, which were not responsive at low speeds (RAIL 866). The first set accepted is TP09, formed of Open First (FO) 11509, Open Standards (TSO) 12725-727 and Driving Trailer Standard (DTS) 12809. It is expected that TP06 will be accepted after Easter (formed of FO 11506, TSO 12716-718 and DTS 12806).